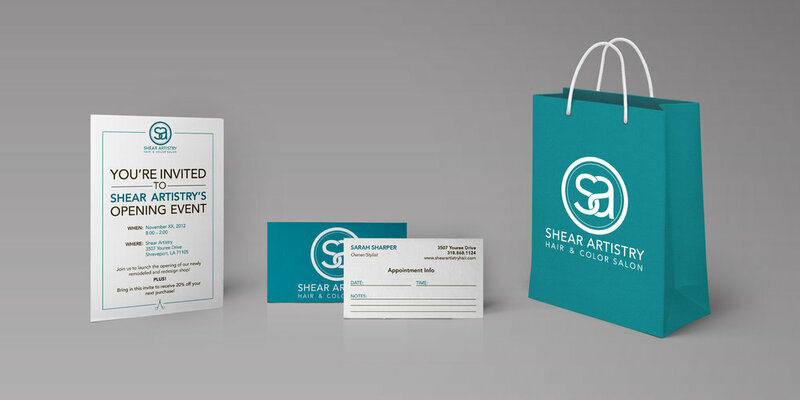 In Shreveport, I had the chance to rebrand a salon that I visited often. It had been opened since the 80s and had gone through several different identities since. I worked with the owner to create a more contemporary and chic brand that matched the services they provided to their clients.